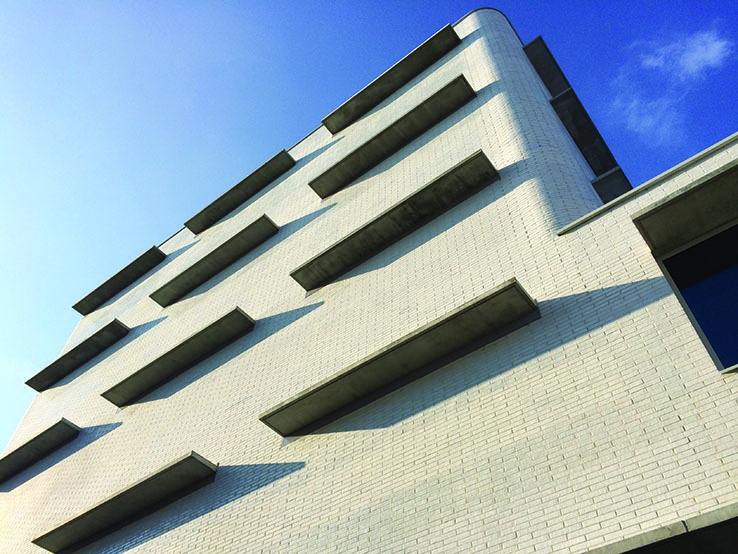 Founded in 1971 as a semi-independent governmental organization, the Belgian Buildings Agency provides qualitative office accommodation for federal public servants and manages the national architectural heritage. Integrity, professionalism, team spirit and responsibility are its core values. The Agency manages about 7,3 million m² in real estate, devided over some 1 170 sites. About 814 of them are owned by the Federal state (about 4.6 million m²), 354 sites are rented (about 2.7 million m²). For the federal public servants, the Agency either rents office blocks of high quality, or it operates as a property developer. When renting offices, the needs of the clients are carefully analysed. For newly constructed buildings, particular attention is paid to the global architectural quality of the building plans. This quality is assessed, among other things, in terms of functionality, expected operating lifetime, aesthetical quality, urban integration within the existing environment, construction costs, maintenance costs and sustainable energy consumption. The Agency continues to develop its know-how in real estate, facility and construction and renovation management. 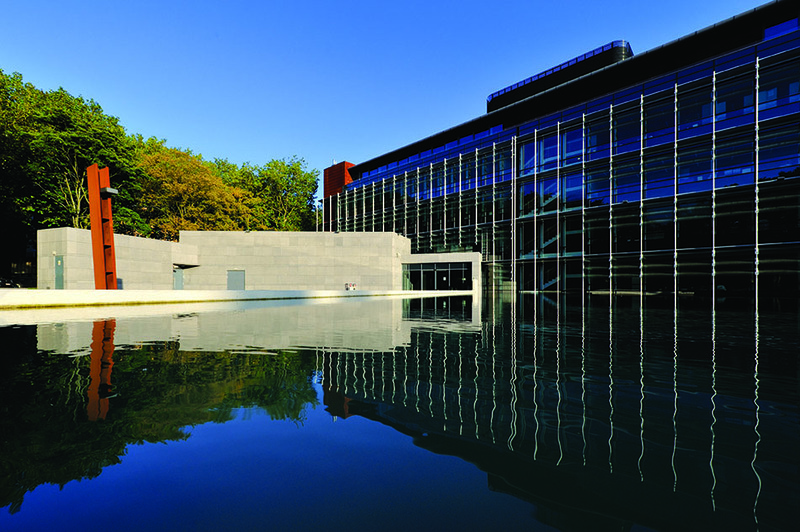 The federal heritage includes several buildings of architectural and historic interest, such as the site of the Cinquantenaire with the Cinquantenaire Museum. This patrimony is administered by the Belgian Buildings Agency, which guards over the preservation of these monuments and unique buildings, which refer to Belgium’s rich past and culture. 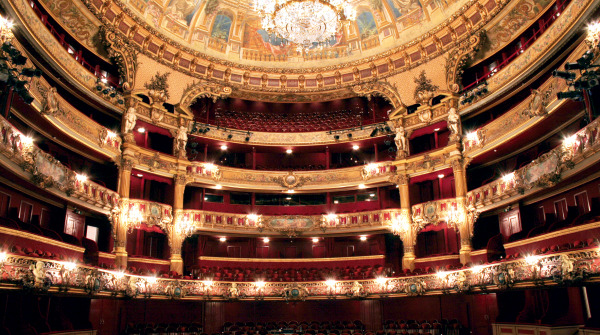 The opera house La Monnaie, the Palace of the Academies, the Musical Instruments Museum, the Belgian Royal Museums of Fine Arts, the Halle Gate and the Centre for Fine Arts are just a few examples of this commitment. The Agency is also responsible for the various commitments of the Belgian state to provide office accommodation for international organizations such as the European Schools (European Commission) or the Council of the European Union. 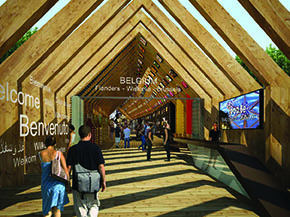 Besides, the Agency gives permanent advice and support in the field of building and public contracting to the Commissioner of the Belgian governement for the creation and the construction of the Belgian pavilion for the universal Expositions. The realization of each project is always the result of a successful collaboration between the different partners. Quality service and a specific and unique expertise in the fields of real estate, facility and construction & renovation make the Belgian Buildings Agency the real estate expert of the Federal State. Construction and renovation: stability, concrete and steel studies, infrastructure, special construction procedures, VRD, etc. Engineering: Hvac, electricity, electro-mechanics, fire prevention, technical building management, energy management, environmental audits, special systems (IT, telephone, etc), restoration techniques, etc. Project Management : public procurement procedures, calls for tender, budget, timescale, space planning, quality control, etc. Within a relatively short space of time, four brand new prison buildings are going to come into service within Flanders and Wallonia. The Federal Justice department decided a few years ago to build a certain number of new prisons. And it was high time because a large number of Belgian prisons already had a good number of years of service behind them. 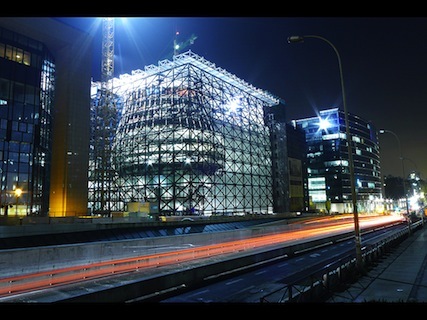 This wave of new buildings falls within the framework of the execution of the governmental agreement approving the 2008 – 2012 – 2016 guideline pour for a more humane custodial infrastructure.